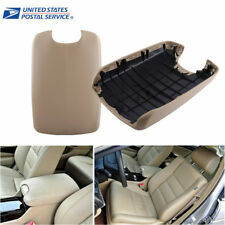 Beige Fit 08-12 Honda Accord Model Arm Rest Center Console Lid Cover With BASE. Details: Brand:Vesul Item Weight:7.2 ounces Package Dimensions: 8.6 x 7.1 x 2. Will Not Fit With Factory Fitted Armrest Located On The Driver Seat (need to be removed in order to use this one). 1ⅹArmrest with leatherette Padding. For Honda Fit / Jazz (LHD) 2002-2008 （GD1-6, Hatchback Only！Not Fit The Sedan Model）. Fast Local Shipping from the United States, Local Shipping Description Up for your consideration is this console lid cover which fits Honda Accords from 2008-2012. Replace your worn out console cover for your 2008-Up Honda Accord. 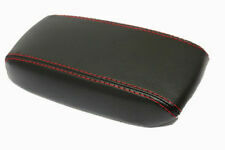 it is a whole console armrest assembly with console and leather cover. Fitment:Fit for 2008-2012 Honda Accord model. Feature Center Console Lid Armrest Cover Only Leather Skin Is Included Made of Leather Synthetic Armrest Cover With Double French Stitching Color: Beige Stitching Color: Beige Compatibility: 2008-2012 Honda Accord Item included: console lid armrest assembly x 1. Descriptions: 100% Brand New Color: Beige Made by high quality microfiber leather. Direct Fitment. Easy installation with no drilling. 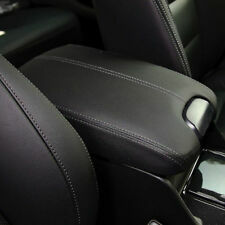 High quality aftermarket replacement door panels armrest. Fit for: For Honda Accord 2008 - 2012 Package Included: 1 x Door Panel Armrest . Protect the original cover of the car armrest and decorate your car to look elegant with high-end sense. 1 Car Armrest Pad. Waterproof and chemical resistant PU material, durable to use with long life performance. Descriptions: Color: Beige Made of top quality microfiber leather and ABS plastic Direct Fitment. Easy installation with no drilling. ​Need to remove the old upholstery skin and install the new one. High quality aftermarket replacement console lid armrest cover. No Hardware is Included. 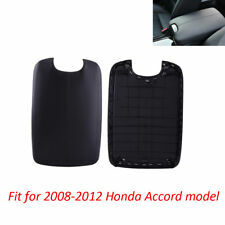 Fit for: For Honda Accord 2008 - 2012 Package Included: 1 x Armrest Center Console Lid Cover with Base. * This listing is for a VINYL LEATHER COVER for your worn out or damaged 2006-2011 Honda Civic Center Console Lid Armrest Cover * The cover is made from VINYL LEATHER * No other item is included except the VINYL LEATHER COVER.There is no Console Lid included in this purchase. * The VINYL LEATHER COVER was crafted using the original dimensions of the original center console lid. Carbon Fiber Color steel Center Console Cover fit For Honda Accord 2013-2017. 2 Door Panel Armrest (left & right). Material: Leather & ABS Plastic Base. Color: Black. We will reply you ASAP. As this armrest is the General one ,that must need use the Screw to let the armrest fit in the original car's middle place. Material: PU leather. 100% genuine products! We will try our best to reduce the risk of the custom duties. Will Not Fit With Factory Fitted Armrest Located On The Driver Seat (need to be removed in order to use this one). 1ⅹArmrest with leatherette Padding. For Honda Fit / Jazz 2009-2013 (GE,Second Generation Type only). This is a center arm rest shift console with cup holders removed from a 2008 Honda Fit Sport with manual transmission. Honda Parts Unlimited. We want you to be 100% happy with your order. a pretty image. 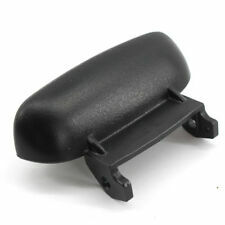 Black Armrest Cover Lid Lock Console Button Fit For Honda Civic 06-11 83451-SNA-A01ZA. Perfect to replace the old or broken Honda Armrest Cover Button. 1 Armrest Cover Button. Fit For Honda Civic 2006-2011. 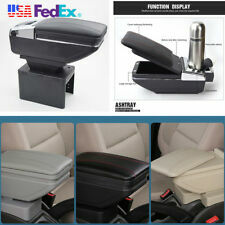 1 Car Console Side Organizer Seat Gap Filler. Fill the gap between the car seat and the console, prevent your small stuffs from dropping and avoid driving distraction to enhance your driving safety. 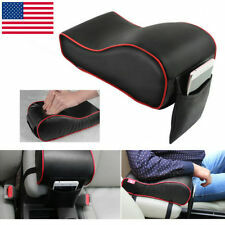 1 Car Armrest Cover. Quantity: 1pc. Leather on the top. Material: leather ABS. Color: Black. 475g / 16.8oz. 32.5 22.5 6.6cm / 12.8 8.9 2.6in. Smooth surface feel soft to touch. Descriptions: Color: Grey Made of top quality microfiber leather and ABS plastic Direct Fitment. Easy installation with no drilling. ​Need to remove the old upholstery skin and install the new one. 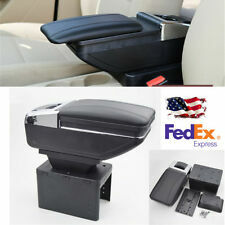 High quality aftermarket replacement console lid armrest cover. No Hardware is Included. Fit for: For Honda Accord 2008 - 2012 Package Included: 1 x Armrest Center Console Lid Cover with Base. Fix the armrest mount to your seat by screw given. Fix the armrest to the parts from the outside, and fix the screw. Application: Universal for vehicle seat. Open the cover of the seat back. Type:Right Left Side. This ad is for an OEM Honda Wiper Switch. 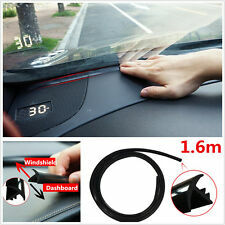 For models without Variable Intermittent Wipers. This does have small cosmetic flaws. I do not have the manufacturer's packaging. Please use the part number and look at the layout of this switch to make sure this is the part you need. Do not rely just on the compatibility list. 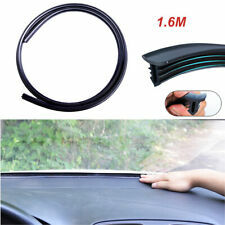 1 Car Console Side Organizer Seat Gap Filler. Adjustable elbow support pads, effectively relieve your tiredness, pressure and fatigue when driving your car. Fill the gap between the car seat and the console, prevent your small stuffs from dropping and avoid driving distraction to enhance your driving safety. 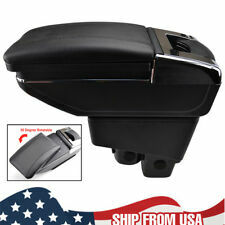 Used black front center console with cupholder. note: your application must be listed below otherwise this part will not fit your vehicle. Fit 2013-2014, gasoline. Fit 2009-2012. favorites list ! 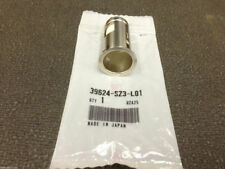 For Honda Fit / Jazz (LHD) 2002-2008（GD1-6, Hatchback Only！Not Fit The Sedan Model）. Will Not Fit With Factory Fitted Armrest Located On The Driver Seat (need to be removed in order to use this one). 1ⅹArmrest with leatherette Padding. (1) as this armrest is the General one ,that must need use the Screw to let the armrest fit in the original car's middle place. Material: PU leather. Color: Black. Stitches Color: Red or Black at random. OVERHEAD,SUNROOF. This part will fit these makes and models with these options. No labor warranty is provided. Amber AMB Burgundy BRG Red RED. Part Color Definitions. S Surplus Used part for which too many are available. (Fit for Honda Ridgeline 2006-2014). Fit for Honda Ridgeline 2006-2014. Microfiber Leather Console Lid Armrest Cover Dark Gray. One piece console lid armrest cover skin. the pictured armrest is not included. WILL FIT AND WORK INHonda Fit 2015 2016. THIS ISHonda Fit Sun visor w/ Mirror Right. Protect the original cover of the car armrest and decorate your car to look elegant with high-end sense. Waterproof and chemical resistant PU material, durable to use with long life performance. Material: Cotton & PU. This ad is for an OEM Head Light/ Turn Siganl Switch. For models without Auto Dimming and without Fog Lamps. This does have small cosmetic flaws. I do not have the manufacturer's packaging. Please use the part number and look at the layout of this switch to make sure this is the part you need. Do not rely just on the compatibility list. 1 Car Armrest Pad. Mater ial: C otton & PU. Waterproof a nd chemical resistant PU material, durable to use with long life performance. Seat Covers. Car Interior. Car steering Cover. Car Accessory. 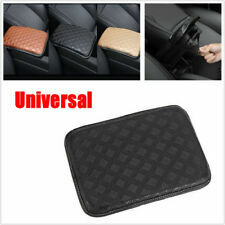 Protect the original cover o f the car arm rest and decorate your car to look elegant with high-end sense. (1) as this armrest is the General one ,that must need use the Screw to let the armrest fit in the original car's middle place. We have warehouses in the USA, CA, and AU. OVERHEAD, WITH SUNROOF OPTION. This part will fit these makes and models with these options. No labor warranty is provided. Amber AMB Burgundy BRG Red RED. Part Color Definitions. S Surplus Used part for which too many are available. Applicable Car: ForHonda Fit Jazz 2008-2013. Perfect Fit Roomy storage size, you can easily put belongings in it and keep your car tidy! Great Value For Money Solution.